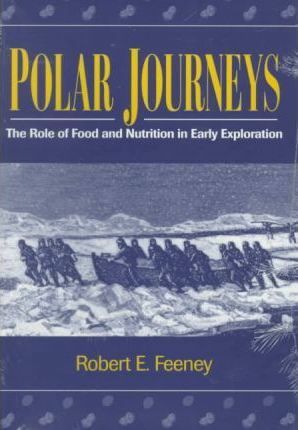 In this unique book, distinguished biochemist Robert E. Feeney relates the history of polar exploration to the history of the science of nutrition, showing, for example, how advances in food preservation helped make possible human survival on the expeditions. The text covers the problems caused by too scant a supply of vitamins, most notably the role of diminished vitamin C in scurvy and too much of a good thing, in the case of hypervitaminosis from unknowingly overdosing on vitamin A. The author discusses also the Eskimo knowledge of foodstuffs and how the explorers learned valuable lessons from them, as well as how expedition members delayed in applying that learning because of their Eurocentric prejudices. With extensive quotes from explorers’ journals, historical menus, tables, and numerous illustrations, the author presents a vivid description of what the expeditions experienced, making a powerful case that the explorers not only traveled metaphorically on their stomachs, they lived and died by the quantity of their food and especially the quality of their nutrition.